Home Soccer Herrerín: "I risk more than I should"
Herrerín: "I risk more than I should"
"It took me a long time to get there, but I liked it", he slips in an interview with AS Describes Unai Simón and Remiro Where is the Navarrese? "He is talkative, less for that". Iago Herrerín crosses perhaps the best moment of his career, headline, mature and settled as an elite goalkeeper: "The best time ..., goes for sensations, the truth is that I am comfortable", sentence. Up to five years it has cost him to get the position in the Athletic bow, always well covered and with luxurious wicker. "A lot of things have happened, soccer is a long distance race. I struggled to get there, but I liked to arrive, " slides in an interview with AS. 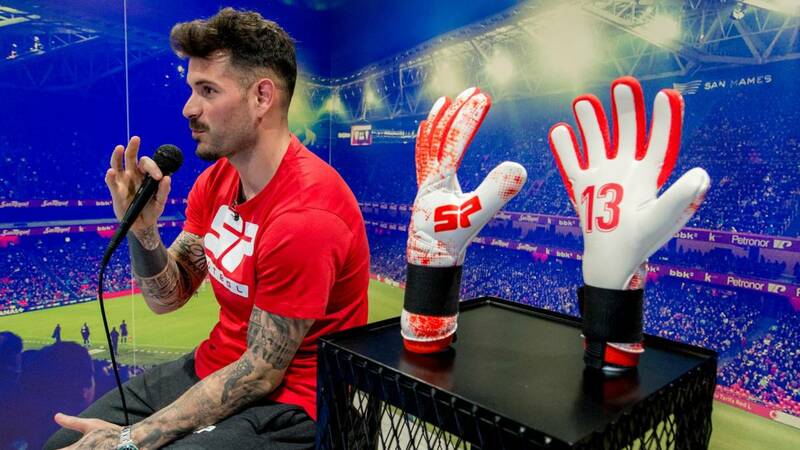 Not so long ago received of Spain, especially Levante, and Premier and confesses that" yes, we talked to the club, I hope I stayed a hundred years in Athletic, but I had to be objective at that time and Kepa was a goalkeeper of the National Team ", he admits delighted with his new gloves SP Fútbol. Some mittens that he presented at the Fútbol Emotion store in Bilbao. Unai Simón now supports the bench press: "I really like his character, his way of being, he is a very grateful person. It has the situation that I had. It does not have to be easy, I try to support him and I tell him that this takes many turns ". His other teammate in the goal, LElex Remiro lives an ostracism for not wanting to renew: "It is a decision he has made, each one with his decisions has to apechugar. It is not easy a season in white. He is a person with a lot of character, who would like to play. Any of the three of us would do terribly well. Train like an animal ", slides Herrerín. Where is the Navarrese going ? : "He is talkative for everything, except for that" . Real Sociedad, Girona, Huesca, Espanyol, Sevilla and a couple of Premier clubs await their decision. It recognizes Iago that sometimes "I risk more than I should", but "goes in my way of being". The Champions, he adds, "is complicated, we have 18 points to achieve, and if you are in the perfect Europa League. We are ambitious ". A public of San Mamés, very traditional, has cost him to accept a peculiar guy with multiple tattoos and toupee:" I do not know, will like some and not others, others with Simon or Remiro. will arrive a type of two meters with tattoos and will like ". abstracts from the comments of the funds: "I try not to hear them. I do not give importance to this age, if you do not go crazy with your head home, "says Herrerín.